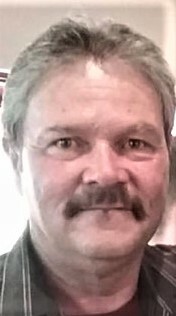 Kenneth W. Porter, 57, of Hidden Hills Road, Weedville, PA, died suddenly on April 12, 2019 at Penn Highlands-DuBois. A son of Anita (Chavez) Erb of Moriarty, NM and the late Julius Porter, he was born on November 19, 1961 in Grants, NM. He married Patricia A. (Spang) of Weedville. Along with his Mother and his Wife, Ken is survived by: step-father, Steven Erb; three children, Ayla Porter of Weedville, Cody Porter of Kersey and David Joe of California; two step-children, Erich Trayer of St. Marys and Tarah Trayer of Ridgway; two grandchildren, Emberly and Esme; two brothers, Gary (Amanda) and Jake Porter of New Mexico and Lance (Tina) Lawrence of Nevada; four sisters, Georgia (Burt), Theresa and Mary Jeannette (Anthony), all of California and Melani Erb of New Mexico; and numerous nieces, nephews and cousins. Ken served in the US Army and Army Reserves for twelve years and worked construction, finishing concrete for many years. He enjoyed woodworking and especially spending time with Emberly. He has been a Bennetts Valley Resident since 1995. A Funeral Service will be held, 11:00 a.m., Saturday, April 20, 2019 at the Caledonia United Methodist Church with Pastor Missy Smith. Interment will take place in Porter Cemetery in San Rafael, New Mexico. There's still time to send flowers to the Funeral Service at the Caledonia United Methodist Church at 11:00 AM on April 20, 2019.